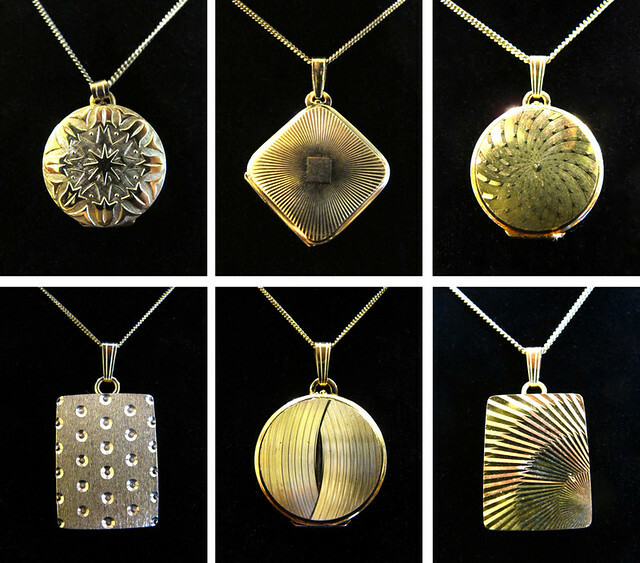 These vintage locket pendants are beautiful, meaningful, and would make the perfect gift for Mother’s Day this coming Sunday! We just had to post this fabulous find! This is a fantastic photo-book brooch that was made to commemorate Queen Elizabeth’s coronation in 1953! This gilt metal book has a bow shaped pin clasp and the book opens at the side by a tiny clasp to reveal a pull-out series of 12 miniture black and white photos of her majesty and prince Philip. 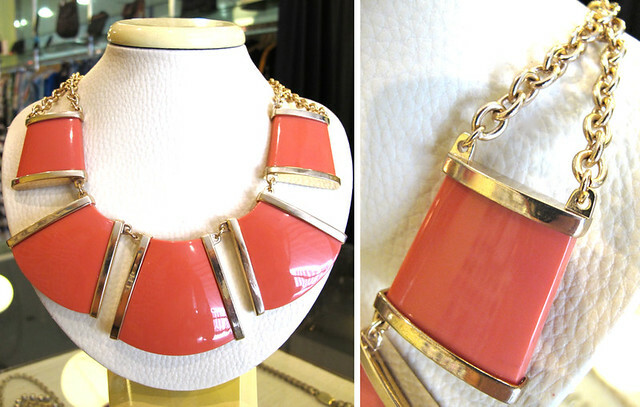 Go bold with this eye-catching vintage coral and gold-tone trapezoid necklace! Regardless of skin tone, coral can be worn by most people. It’s also a colour that can get you lots of mileage as it’s really easy to mix with lots of other colours. 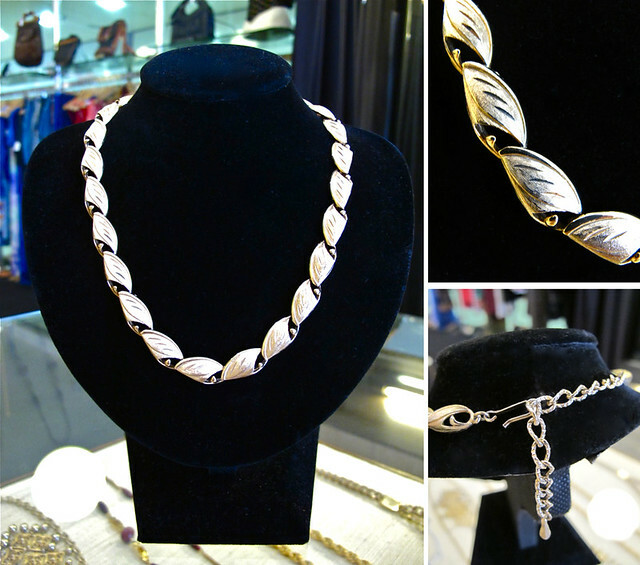 Sophisticated and elegant, this gold-tone vintage 1950’s necklace is made of interlocking stylized leaves in a matted and textured design. Stamped “Kramer” of New York. Kramer jewelry creations was founded by Louis Kramer in New York City during the height of WWII and the company produced many intricate and artistic pieces (Like the one featured here). Did you know that Kramer also produced jewellery for Christian Dior in the 50s and 60s?